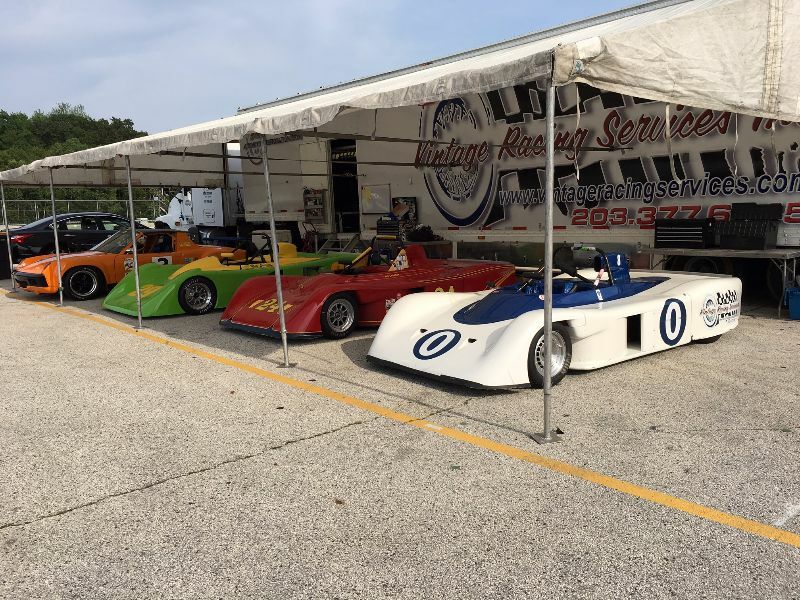 SVRA Brian Redman Challenge at Road Atlanta — Automotive Restorations, Inc. Challenging indeed. Marc and Bob were both getting used to their recently acquired Sports 2000s. 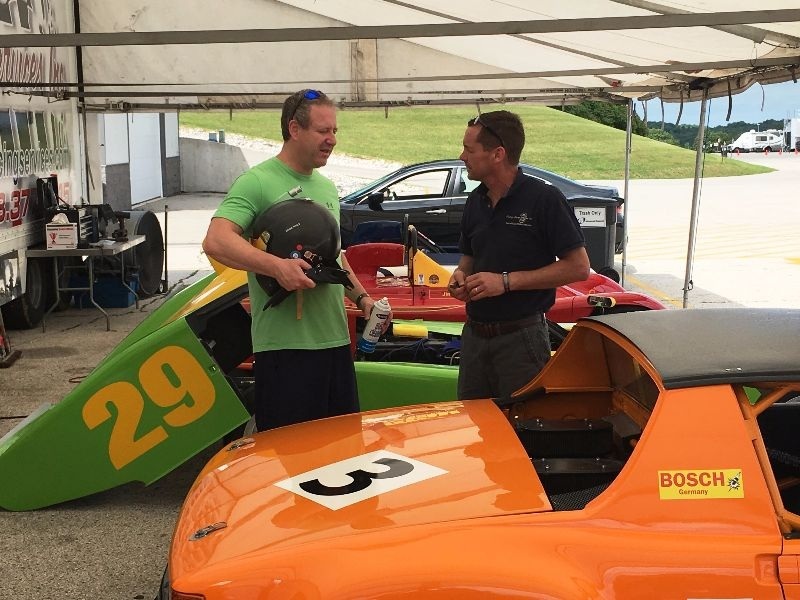 Brian and Jim were on track in some very large fields and stayed quick and out of trouble and Jim took his Porsche 914-6 out in a huge field and finished well. 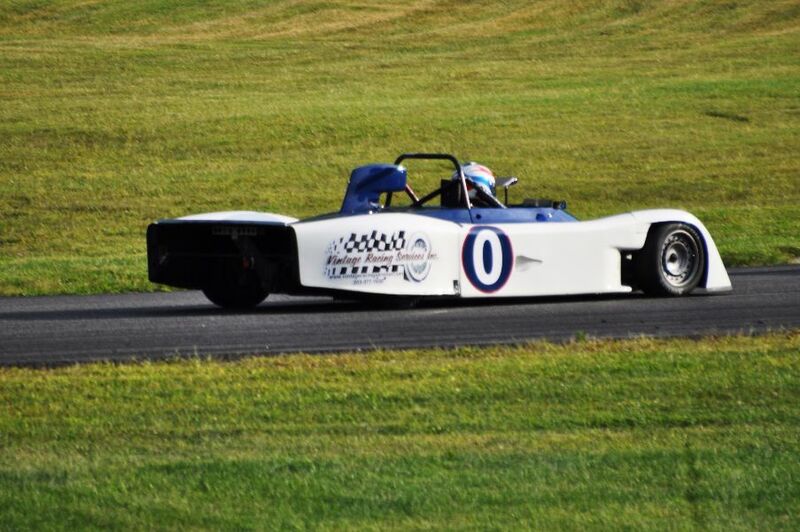 Most importantly…..all enjoyed a good weekend of high speed fun! 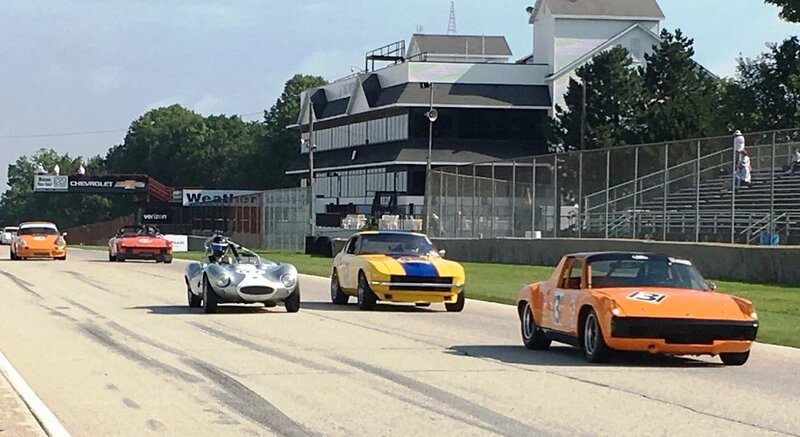 Road America was well used with fields of 75 cars on track. 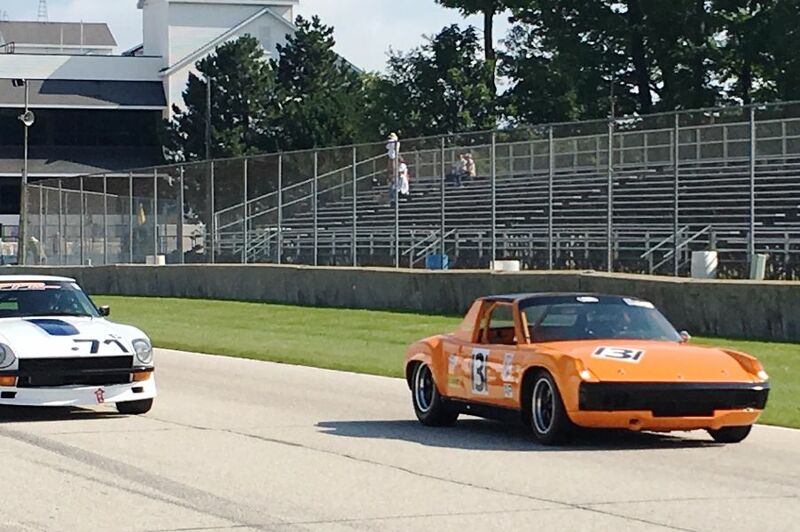 Here, Jim Lenehan & his Porsche 914-6 mix it up at speed on the straight. Delivered at Last! 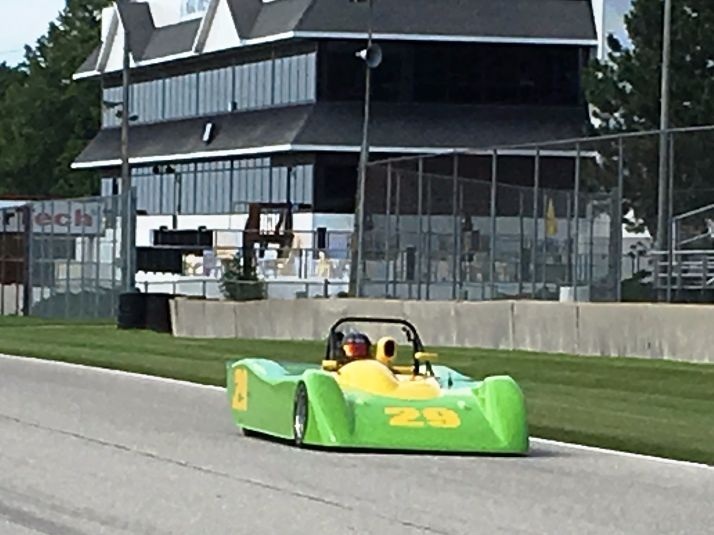 This car was still being built and sorted at Mid-Ohio in late June and Marc Sharinn was a little apprehensive about its Elkhart Lake, R.A. debut. It worked: pictured left--Carbir S2000 & Marc at speed at RA. The Carbir guys had it ready. Right Brian goes over things with Mark who’s found a shirt to match!! The race fields were HUGE and crowded at the starts, but RA is a BIG fast track that can handle BIG F-A-S-T fields. Jim Lenehan and his trusty Porsche 914-6 had a good run finishing shiny side up, 14th overall and 4th in class. 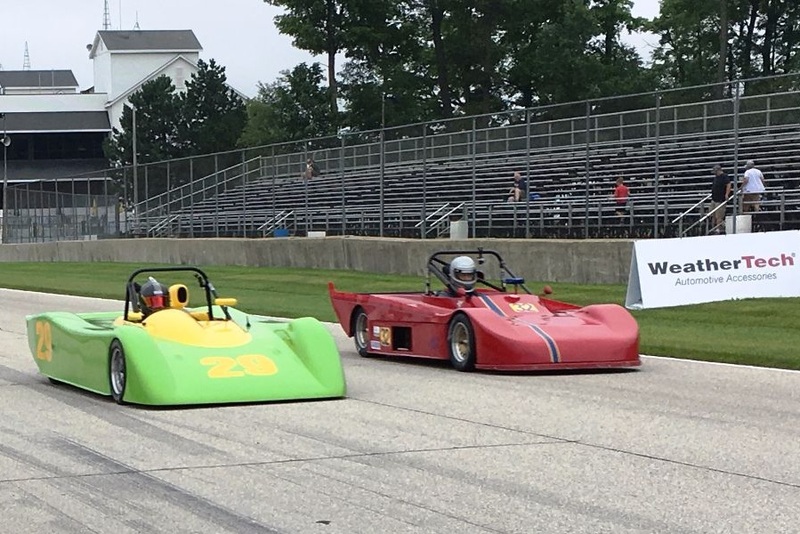 The VRS racers had a good “sports 2” weekend at SVRA’s Brian Redman Challenge, Road America 2017. Left: VRS’s own Brian Rechtiene exercising our rental Swift. Center: Marc Sharinn is coming to grips with his new Carbir nicely while right, Jim Lenehan and Swift S2000 chase down Mr. Rechtiene…almost!! Left: Tim and Keron on pit wall while our S2 drivers work the track. 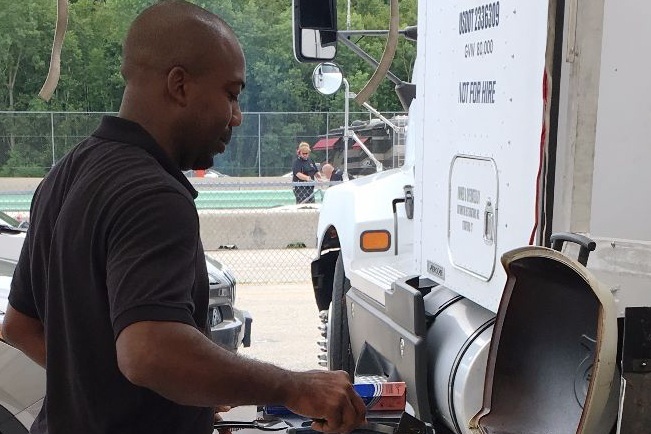 Center: Keron Legerton helps, drives the semi & cooks a nice lunch!!!!! This was a fast field with none other than multi-time SCCA S2000 national champ John Fergus running up front. We all finished shiny side up and had fun.